Pat and I have recently learned of three families who have lost children in our area. It breaks our heart, and we've sent many prayers their way. I've received many e-mails asking how to help. So I created a tab up top called "Help" that links 3 posts on what we found helpful when we had were forced to say goodbye to this little monkey. Hope this helps any of you who need it in the future. Also, here is a little boy who could use support. And I've shared Tyler's story before, but this amazing kid could use some love and support as well. His whole family is learning how to apply the phrase "I can do hard things" as they keep fighting cancer. Breaks my heart, but what an incredible family the Smith's are. Those eyes, just absolutely beautiful. My thoughts exactly. Those are some amazing, beautiful, mesmerizing, heavenly looking eyes. She looks like an angel. When I first saw this pic it left me speechless. Beautiful just beautiful. You are so strong and your Faith is evident. Although I do not know a lot about the Mormon religion I do have The Book of Mormon that my friend got for me during a trip to Utah. I will now start reading it, maybe I can grow in my Christian faith. God bless your family and know that your little Angel is with the Jesus Christ, that we both believe in, for sure. 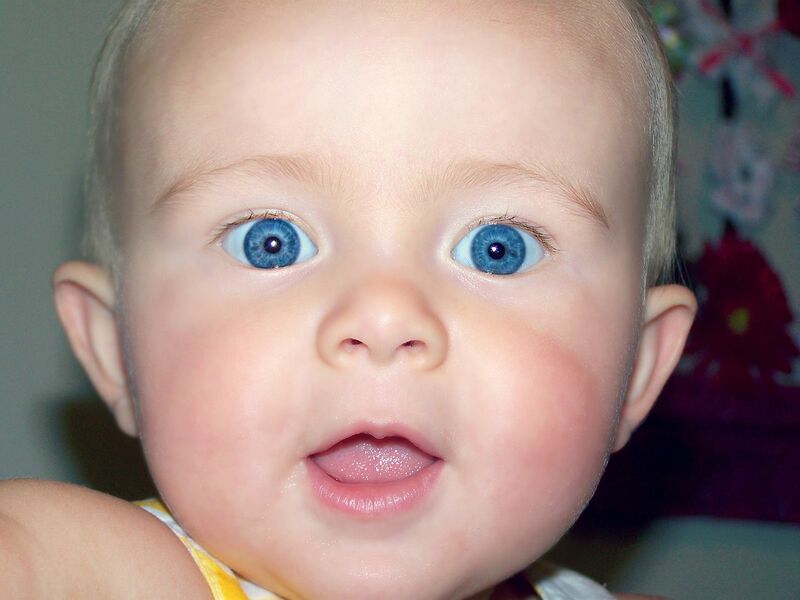 This was already said, but oh my, Preslee's eyes are the bluest eyes I have ever seen! Simply gorgeous! Love and pray for the Smith family since we first found out., what great faith they have, and I think some of that is credited to YoU! Sending prayers for everyone I read about on your amazing blog and prayers to you to make it through those tough days! This picture makes me smile and cry at the same time. Man she is a beauty!!! This picture of Presley is idenetical to the one of Ledger in the top right side of your blog where you and Pat are holding him. So sweet! You're an inspiration to all, Ashley. I came across this quote by the new 2nd counselor in the r.s. presidency. "Adversity is a great teacher. Adversity builds us and prepares us for future service in the kingdom, in our homes, in our communities, and to become instruments in the Lord's hands". I really believe this and I thought of you as I read this. You're choosing to use your trials to help others who are facing similar trials. You're making a difference in your community and inspiring us all. Thank you for your example. We think about and pray for you and Pat often.